Develop and implement Business budgets, prepare reports for senior management and ensure the department complies with company policies. Responsible for the Overall Management of Business Strategic, Penetration of New Markets, New products and Customer Relationship Activities.Take Ownership of the Management of the Sales and Marketing Functions of the Business.Manage and perform these activities, performance evaluations, hiring and discipline for employees in their department is on track to meet its financial goals and assess the performance of the department and branches against the businesss goals and plans. Drive Increased Revenue and Profit to Achieve the Companys ambitious growth.Provide Market Feedback to the Chief Operation Officer Regarding Competitive Offerings and Generate Product Development Idea.Researching the Market and Identifying Potential Target Customer and Develop Annual Plan of Action and The Branch Business Plan containing Area Extension and New Branches Extension, etc.Measure branch performance, the most appropriate Key Performance Indicator KPI based on Annual Budget Plan. Manage the implementation of employees promotion activities.Developing strategies staffing, product, process, marketing, etc. to enable portfolio growth and client outreach in existing and new regions.Define and followup on client goals for each product according to Hayman Capitals strategic plan and annual budget. Submit Regional goals to COO for final approval.Leading to contact with local authorities Financial Regulatory Department, Chief of TownWard Village Tract Village for business extensions.Managing savings mobilization Review and revise savings mobilization strategies, objectives and product design for each targeted market segmentSupervise and manage to Deposit Mobilization unit, targets for the delivery of savings products to MFI clients, monitor progress versus budgets and propose adjustments or remedies as neededSupervise and manage the sales and distribution efforts among savings team members and provide input for organizational communication and marketing effortsLeading the market intelligence efforts by market segment and propose product adjustments accordingly.Manage staff performance on savings and address staffing and training needs to enhance product delivery and efficiency Involving training to Branch Managers, Credit Team Leaders and Loan Officers for developing their knowledge, policies and procedures of Hayman Capital and understanding about rules and regulations. Work handinhand with the respective counterparts in HQ channel and distribution department to implement all channel and distribution policiesstrategies.Provide continuous support to run and implement initiated sales program and new product launches.Hitting the regions target market share performanceMonitor and report back all competitions activities and performance to Sale Planning Manager on the monthly basis.Ensuring the target dealers recruitment and expansion plan is carried in accordance to the planned timelineManage all channels compliance to the policies, partnersdistributors conflicts or fraud cases together with the respective departments in HQSummarize all the channels feedback on daytoday operation, system related matters, incentive payout, etc from POS and share with HQ for continuous improvement.Planning the weeklymonthly way plan, routine plan. Build the customer relationshipCooperate with distributor for stock movement and daily orders.Facilitate the morning briefing with distributors for any problems that concern with salesSupport the field implementation and monitoring in order to provide regular information in field.Work together with the field team in selecting areas of intervention, targeting activities as well as beneficiaries using best practiceMake the daily sales call report to Sale Planning Manager.Review the routine plan with distributors and update the weeklymonthlySales plan the weeklymonthly report to Sale Planning Manager.Responsible for visiting our Distributors within the assigned territories on a daily basis to support their needs.Responsible to meet the monthlyweekly targets assigned by the management.Visit dealers outlets to ensure all sales and operations systems are up, POS Point of Sales materials are displayed adequately, etc.Help solve Distributors operation issues, incentive discrepancies, ageing and customers complaint. Identify new business development opportunities and clients in coordination with the Head of Business Development. Develop trust relationships with a portfolio of major clients Serve as the link of communication between key customers and internal teams Acquire a thorough understanding of key customer needs and requirements Expand the relationships with existing customers by continuously proposing solutions that meet their objectives Ensure the correct products and services are delivered to customers in a timely manner Resolve any issues and problems faced by customers and deal with complaints to maintain trust Play an integral part in signing new clients that will turn into longlasting relationships Prepare regular reports of progress and forecasts to internal and external stakeholders using key account metrics Establish and maintain relationships with third partiesvendors Create and maintain comprehensive project documentation Meet with clients to take detailed ordering briefs and clarify specific requirements of each project Report to the Head of Business Development, or in hisher absence, to the Program Manager andor Managing Director. 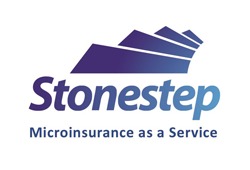 Company vision and missionStonestep is a Swiss based massmicro insurance services provider with operations in Myanmar, Nepal, Vietnam, and the Philippines. 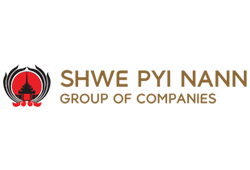 Our vision is to deliver innovative insurance and service products designed to address the needs of emerging consumers at an affordable price. For most people around the world, life is extremely risky: if people lose their home, theyre not checking into a hotel. If they have an accident, theres no ambulance. Stonesteps unique insurance platform can cover such risks for emerging consumers. Microinsurance as a service is a sustainable business model that can catalyze economic growth for all levels of society. CEO Brandon Mathews.What we doAt Stonestep, we target partnerships with Microfinance organizations, mobile operators, mobile money providers, FastMoving Consumer Goods, electronic retailers and other corporations to leverage their already existing distribution networks. This can reduce costs, allowing even geographically remote and economically disadvantaged customers access to risk products. Stonesteps insurance platform has integrated sales and customer experience tools, so partner businesses can add insurance products alongside their tra ditional product lineup. IT can help promote brand loyalty, as well as additional revenue.We are working on several initiatives, including smartphone insurance and repair services and Extended Warranty for household electronics.Why you should join usStonestep fosters a positive work environment where hardworking and entrepreneurial individuals can thrive.Our workplace and cultureYou must be a selfstarter, taskdriven, detail oriented, hardworker, willing to learn, challenge oneself and to problemsolve at all levels of the organization, working independently and in groups, and take on additional tasks and responsibilities when required. 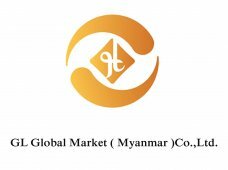 Company: CLF Global Market (Myanmar) Ltd. Responsible for the promotion and sales of the MT4 trading technology to high net worth individuals in Global Market.Capable to deliver Global product presentation effectively with power point to prospects and customers. Attends local and company events., activities to promotes product to prospective customersAble to plan business independently, meets appointments production projection. Able to Develops leads and make appointment to achieves accurate sales forecast. High performing to achieve growth and hit sales targets successfully by managing the sales team.Build and promote strong sustainable relationships with customers and fulfill the customers needs.Maximizing sales team potential, crafting sales plans and justifying those to plan to the upper management.Own recruiting, objectives setting, coaching and performance monitoring of sales representatives.Gross sales, revenue and expenses reports and realistic budget plan to management team.Design and implement strategic business plan to meet companys vision. Good job opporting for the Gold Trading analysis Sales and Marketing.You will be responsible for current copmpany free hand business sales and marketing futher freehand business to achieve the desired targets.Generate new global business from own prospectsAssure the newly won clients business integration into Operations. 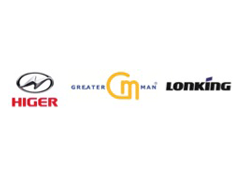 Provide information to General Manager for Sales Action Planning and forecasting activities. Provide all customers visits, opportunities and any other customer, prospect information. Actively pursue growth opportunities, by developing new clients and maintaining good relationship with existing clients. Drive new business growth across all facets of the business in line with the sales targets Continuously promote sales activities personally, by developing and concentrating on new key accounts and developing business with existing accounts. 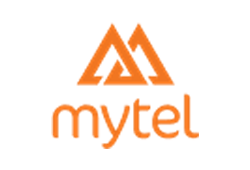 Ensures accurate compilation and reporting of operational and financial information about the customers. Constant communication with new customers, customer support and the Operations departments about relevant company policies, departmental expectations and customer expectations.